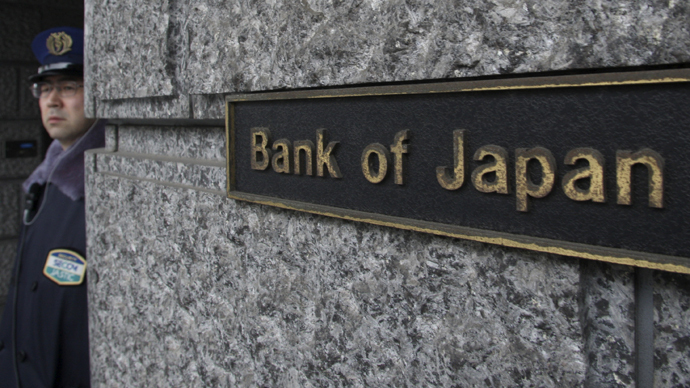 Japanese monetary authorities do not intend to pull out of the extreme monetary easing and are considering extending the existing program, the minutes of the Bank of Japan's April 26’s monetary committee meeting have revealed. The board confirmed their intention to continue with the easing until inflation reaches the desired target of 2 percent. Some policy makers argue that the target of 2 percent might be illusive. They say it’s “highly uncertain whether changes in inflation expectations would lead to a rise in the actual rate of inflation,” according to the record of the April 26 meeting. "Most members expressed the view that the year-on-year rate of change in the CPI was likely to follow a rising trend, reflecting factors such as the improvement in the aggregate supply and demand balance as well as the rise in medium to long term inflation expectations, and it was likely to reach around 2 percent - the price stability target - toward the latter half of the projection period," the minutes said. The minutes also revealed that the board members spoke of a contradiction which arose from the BoJ’s desire to push down interest rates through large-scale purchases of government bonds and at the same time the intention to boost inflation. 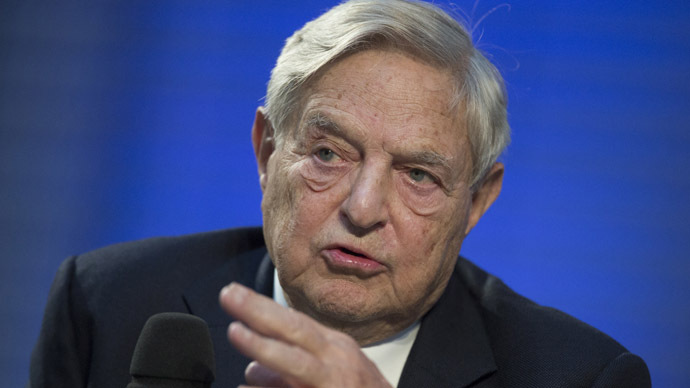 “A few” members said this had led to volatility in financial markets, while according to Bloomberg, one member said he fears instability could return to the bond market. At the meeting the bank kept its benchmark interest rate at the record low of 0 to 0.10 percent. 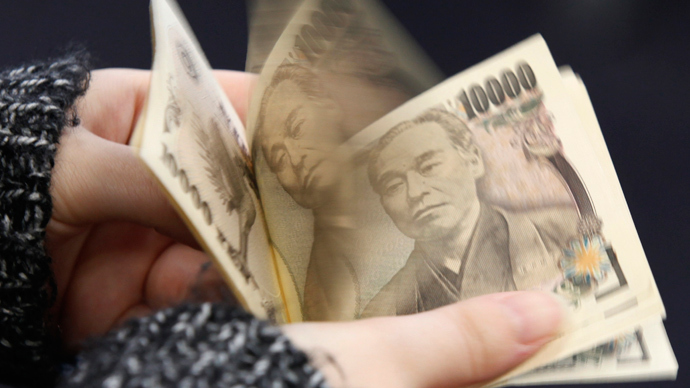 The board also agreed to help increase the monetary base with about 60 to 70 trillion yen annually. Forecasts for economic growth and consumer prices have been revised as well. The BoJ said it expects Japan's economy to return to moderate recovery closer to mid-2013. The GDP forecast for fiscal 2013 was also updated from January's projection of 2.3 percent growth to 2.9 percent. 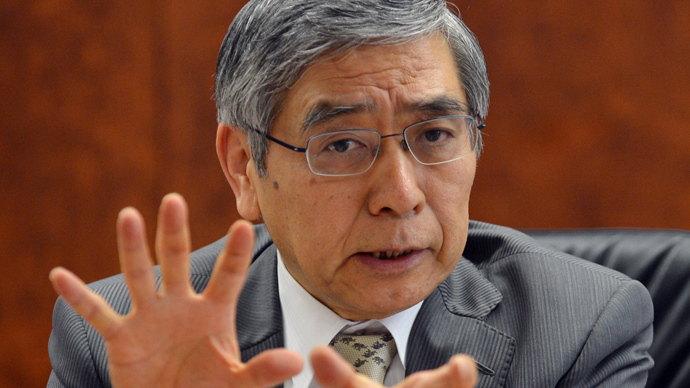 For the next fiscal year the BoJ foresees growth at 1.4 percent, against earlier estimations of 0.8 percent. Inflation is expected to reach 1.9 percent in fiscal 2015, close to the central bank's goal of 2 percent. Before the minutes were made public, Japan’s central bank had already said that at least two members see inflation of less than 1 percent in the fiscal year ending March 2016, Bloomberg reports.